It’s a beautiful sunny day here at Manitou…perfect weather for Day 2 of World Games 2018! But before we move onto our events for today, I’ll give you a quick recap of yesterday! We had cheering all day long, and I loved seeing all of our campers and staff getting into the spirit and culture of their countries. Morocco’s opening ceremony wowed us with their lighting effects and their rhyming script, and Scotland’s opening had us laughing and trying to solve a mystery. In the afternoon, there was an extremely close Track and Field event, which Team Scotland ended up winning in the end, and then we went into the markets and deserts of Morocco for their team dinner. We feasted on traditional Moroccan dishes, bought pottery from their markets, and even got to see some camels! The day ended with the Fashion Show and Dance Off, a thrilling night filled with spirit and fun, which Morocco ended up winning! The race is very tight right now as we head into Day 2! This morning will be our World Games Marathon, where all of the campers and staff from each team go on a run (or Fun Walk!) and gain points for their teams! And as if the morning wasn’t exciting enough, we then head into one of my favourite lunches of the summer: Spirit Lunch! Both teams show off their best cheers, their spirit, and their wildest ideas! Sometimes campers paint themselves in their team colours to show their commitment to their team! It’s a very exciting lunch, and I can’t wait to see what these teams have planned! 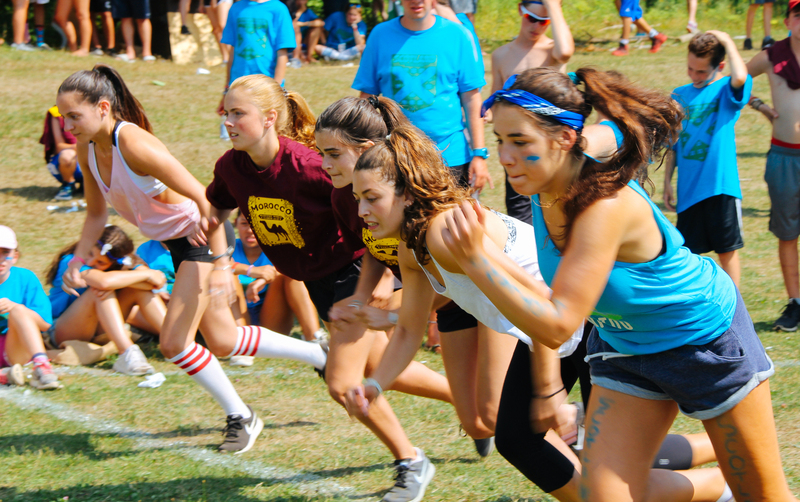 After lunch, there are some more activity blocks, where campers will compete in various activities to take the points for their team, and then we will head into our second team dinner, hosted by Team Scotland. I’m sure they have a lot of surprises up their sleeve, and I’m excited to see what will be in store! To end the day, we have Cabaret, an evening of performances where each team will show us their prepared dances, original songs, paintings, videos, and past World Games trivia skills! It’s a great way for teams to get pumped up, and I love seeing the creativity and imagination of both teams. It’s a very close World Games right now, and there’s still lots of events left before we find out the winner!